ROCKE Presents Jena Dickey & Margie Camp! Jena Dickey & Margie Camp, co-directors of the acclaimed Young Voices of Colorado, invite us into their studio for this session on elementary choral techniques. This session will be jam-packed with repertoire, warm-up & rehearsal techniques, strategies for creating fun and engaging rehearsals, and even an "open rehearsal" with members of their own choirs. You will be sure to leave refreshed and ready to tackle those looming holiday concerts! CDE Credit (professional development hours) is available at all workshops for no extra cost! Jena Dickey has always had a strong desire to inspire people with vocal music, leading her to establish a children’s choir with both educational and performance components. She received her Bachelor of Music in Music Education from the University of Texas (Austin) and her Master of Music in Choral Conducting from the University of Colorado (Boulder). Specialized courses in children’s voices called her to postgraduate study through Choral Music Experience (Doreen Rao), the Kodály Institute in Hungary, Toronto Children’s Chorus Symposia (Jean Ashworth Bartle) and Creating Artistry (Henry Leck). Jena has prepared children’s choruses and soloists for many leading choral and instrumental conductors. She has served the American Choral Directors Association (ACDA) as chair for Children’s and Community Youth Choirs at the state and regional levels and has chaired the ACDA national Children’s Choir Conductors Retreat. She has served on the national Children’s Choir Committee of the Organization of American Kodály Educators and has conducted workshops for the American Orff Schulwerk Association and all levels of ACDA. In 2017 she traveled to Shenzhen, China, to conduct the Shenzhen Bay Music Festival 2017. Jena’s moments of greatest joy are found in the highs of rehearsals and performances of the Young Voices choirs and Sing A Mile High. Margie Camp directs TrebleMakers, Choristers and First Voices and is on the music education faculty at Metropolitan State University of Denver. Margie taught public school music for 30 years and retired from the Cherry Creek School District in 2004 after spending 15 years as choir director at Campus Middle School. She also served the Cherry Creek School District as the music coordinator. Margie is Southwestern ACDA Past-President and serves as Program Chair for many SWACDA Conferences. She has served both Colorado ACDA and Colorado Music Educators Association in many leadership capacities. Margie has served as clinician, adjudicator and director for workshops, contests and honor choirs throughout the United States. Prior to coming to Colorado, Margie taught in San Antonio. Margie received her Bachelor of Music Degree from Trinity University, her Master of Music from The University of Texas at San Antonio, and her Specialist in Education from The University of Colorado at Denver. 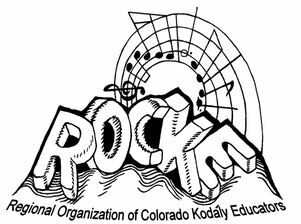 Margie is a member of the Colorado Music Educators Hall of Fame. Skip the line! Pre-register using the buttons below! All transactions are secured through PayPal.